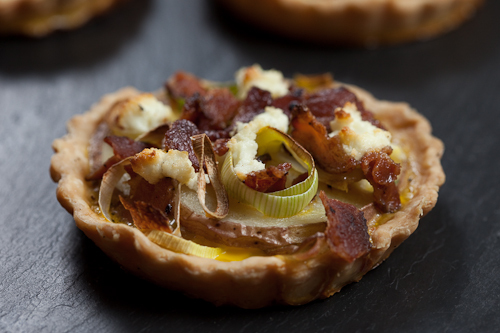 Delicious little tarts which are perfect for a school cookery workshop or kids’ party, and adults love them too. You can jazz them up further with some Cheatin Pepperoni or chunks of smoked tofu for adults, and Cheatin Ham for kids. Grease your baking trays with a little oil. Cut out pastry circles and place in dips in your bun/muffin baking trays. Spread a teaspoonful of tomato puree at the bottom of each. Arrange chopped pepper and spring onions on top, and the peas too. Meanwhile, heat a 2 tablespoons of oil in a small pan and stir in 2 tablespoons of flour. Whisk in a carton of soya cream until it thickens. Chop up basil leaves and add to the cream mix. Pour a little over each tart to cover the veg, and bake them in a pre-heated hot oven at 200-220C, for about 10 minutes until golden. Eat immediately or chill and eat within a couple of days.